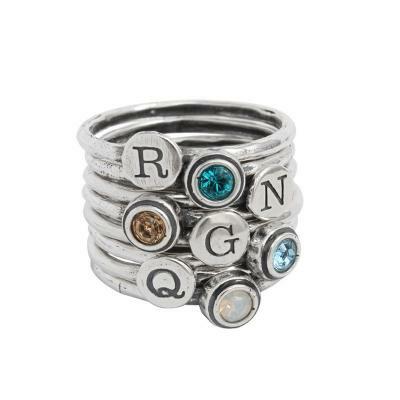 This set of 8 stackable initial and birthstone grandmother's rings is the perfect gift for a grandmother of four. All your grandkids stacked up in a neat row. A grandmother of four will love stacking all her grandchildren in a neat row with our stackable initial and birthstones grandmother's rings. This set of 8 rings will be a subtle reminder of those you love.